Building a stronger community begins with providing its youngest members with a quality early education. Research has shown that the critical skills we need to succeed in life, such as problem-solving and teamwork competencies, are developed by age 5. To set children on the right path in life, United Way of Miami-Dade has laid out a plan for Florida’s early education programs. With increased funding for quality programs, Florida’s legislature can give children the tools they need to become successful members of the community. 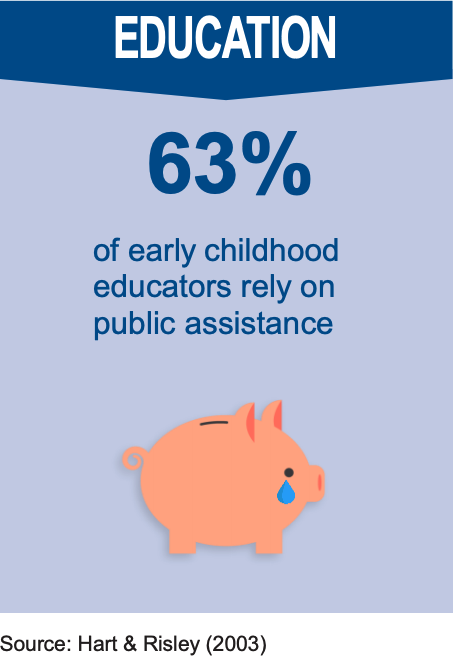 USE increased federal funding for school readiness to implement HB 1091. IMPLEMENT a coordinated child assessment system for VPK and kindergarten. FUND Child Care WAGE$ ®Florida infrastructure at the state level. MAINTAIN T.E.A.C.H. funding at $10M. EXPAND Help Me Grow statewide by increasing its budget to $4.5 million. Learn more about our plan for early education and help make a difference.